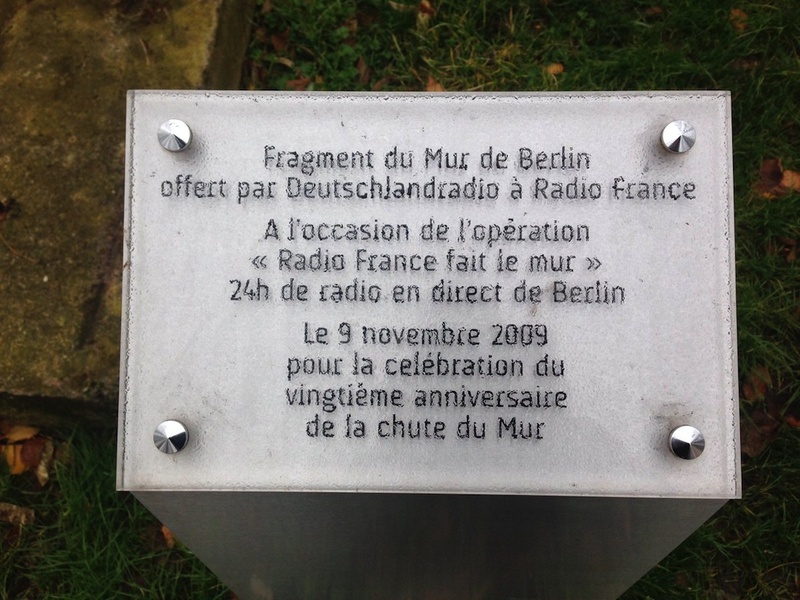 On the occasion of the 20th anniversary of the fall of the Wall, Radio France had interconnected its programs for the first time and reported 24 hours live from Berlin. 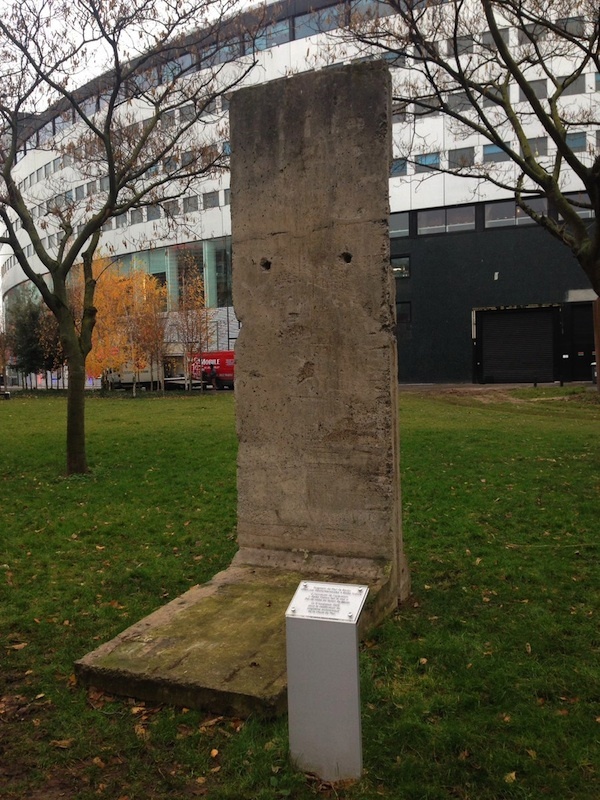 With this, the radio station emphasized the importance of the Wall not only in an European but also in a global context. The work of the radio journalists in turn was documented by a photographer. 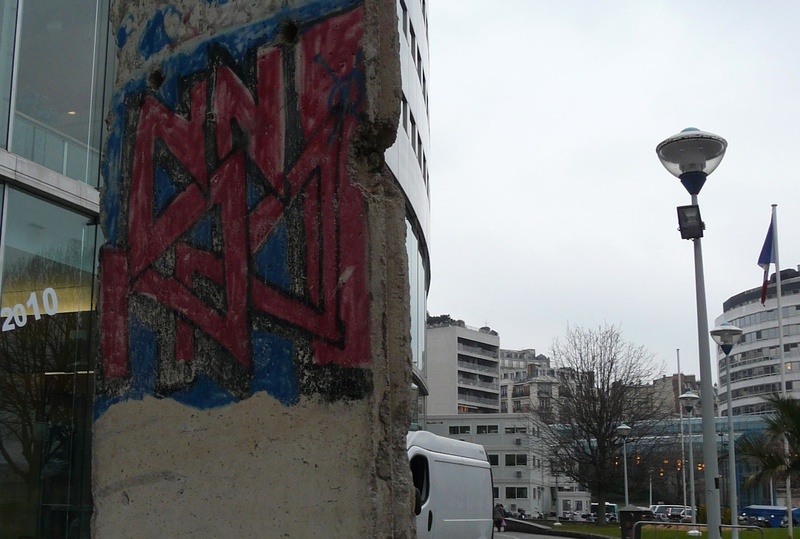 A few days later, these photos were presented at the Maison de la Radio. 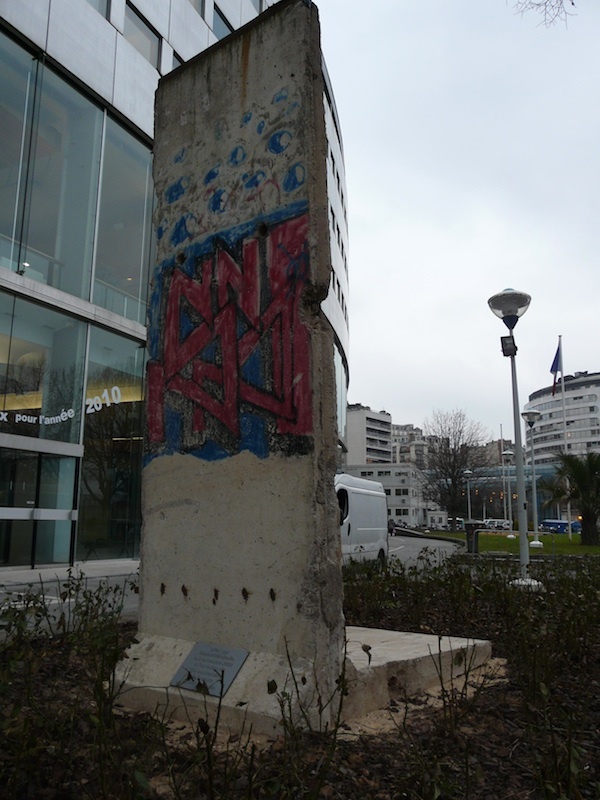 The then director of Deutschlandradio (German Broadcasting) Willi Steul was invited and carried along a Wall segment for the Avenue de President Kennedy, in order to underline the future cooperation between Deutschlandradio and Radio France.